Around the world, people are seeking highly nutritious, great-tasting whole foods. 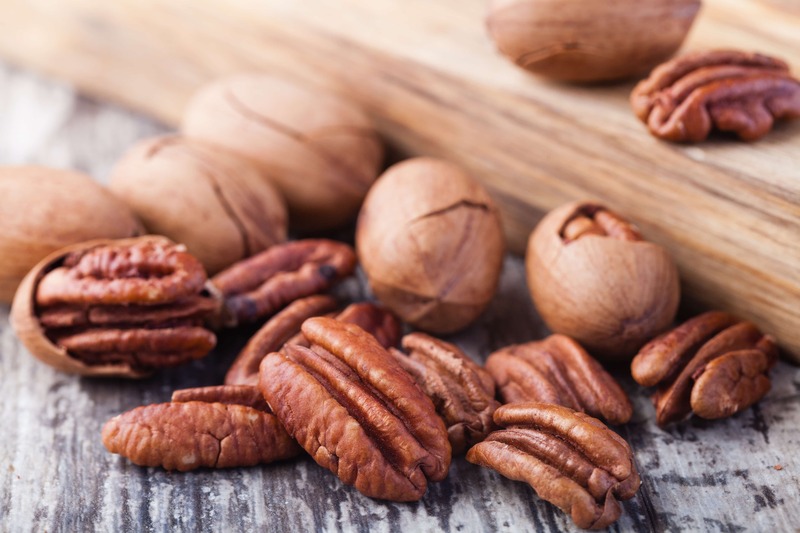 Global demand continues to grow as people become aware of the nutritional powerhouse that is the pecan, along with superior benefits and its distinctive and delicious taste. A handful of pecans (about 19 halves) is packed with fiber, zinc, important vitamins such as E, and other essential minerals that support strong bones and good digestion. Pecans also contain superior levels of antioxidant flavonoids and natural plant sterols, known for their cholesterol-lowering abilities, more than any other tree nut. Each one-ounce serving is lower in carbohydrates and higher in dietary fiber compared to other nuts, and contains 12 grams of monounsaturated (good) fat. One serving of pecans (30g) provides about 25% more oleic acid than one tablespoon of olive oil. One ounce of pecans provides 10% of the Recommended Daily Value (RDV) for fiber and is packed with vitamins, minerals, and antioxidants. Pecans are a sodium- and cholesterol-free food. Pecans have the highest antioxidant content of any tree nut, and are the only nut to rank in the top 20 antioxidant-rich foods. Versatile, rich-tasting pecans offer far more than just delicious flavor. Packed with vitamins, minerals, protein and fiber, pecans are high in antioxidants and are sodium-free, cholesterol-free and gluten-free.